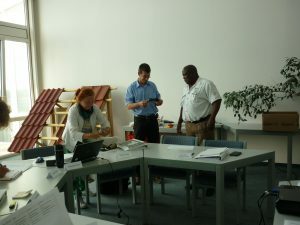 The SolarSchools have been offering Solar Consultant courses in Germany since 1996. Today there are 9 different SolarSchools in all of Germany, all coordinated by DGS SolarSchool Berlin-Brandenburg. The DGS SolarSchool Thuringia began to offer courses in Weimar in 2008. Aside from the Solar (Expert) Consultant courses we offer courses on the subjects of renewable energy sources with a special focus on off-grid photovoltaic in developing countries. Our lecturers have many years of experience in the field in Germany and in developing countries. 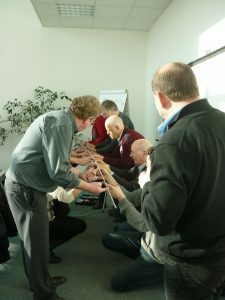 Each participant receives a certificate of participation at the end of the course. In addition, the participants may choose to take an exam for qualification as a DGS solar consultant or solar expert consultant (accredited certifications), depending on previous experience and exam results. The DGS SolarSchools can also be found outside Germany, international SolarSchools were opened in Macedonia, Turkey, Vietnam, Laos, Cambidoa and Chile. In 2011, the SolarSchool Thuringia opened a partner academy in South Africa under the name of maxx-solar academy. Main location The course is mainly carried out on site. Dates: Dates and times for trainings in Germany, mostly in German language can be found here. Courses in English language can be arranged upon request. The training schedule of the maxx-solar academy in South Africa, Namibia, Lesotho and Zimbabwe can be found here.